To push food across a shredding surface to make long, narrow strips. Finely shred means to make long thin strips. A food processor also may be used. 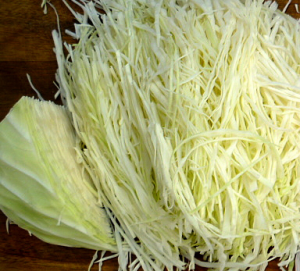 Lettuce and cabbage may be shredded by thinly slicing them.